Estate Home on a professionally landscaped 2.85-acre lot. 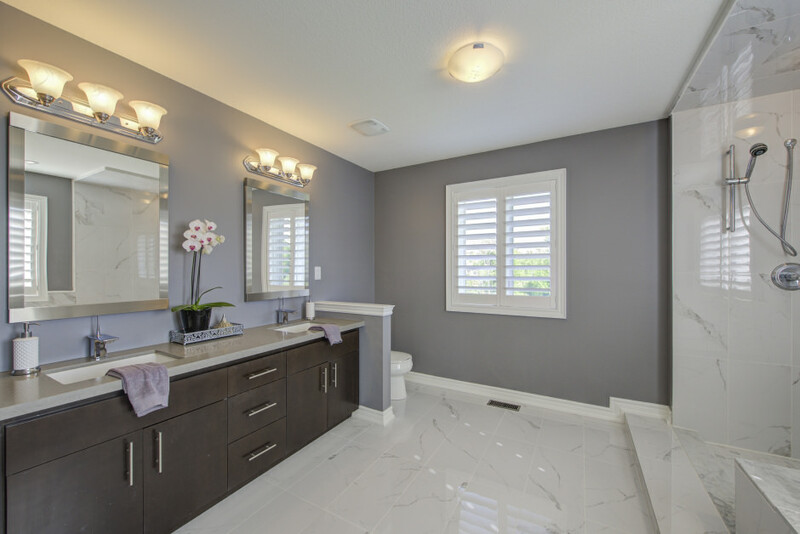 Located within the Tuscany Ridge Community, just minutes North of HWY 401 and central Milton amenities. This spacious family home offers approximately 4,000 sqft above grade, plus a full-size lower level with ample natural light. A stately brick exterior with stone accents opens to a grand foyer with an oversized wrought-iron and glass chandelier suspended from the 18’ ceiling. Recently renovated in conjunction with Jane Lockhart Interior Design, this home boasts custom-quality features including travertine tile and maple hardwood flooring, wainscoting, crown moulding, custom window treatments, designer lighting fixtures, and built-in audio throughout the main entertaining spaces. The heart of the home is the gourmet chef’s kitchen, opening to the family room with linear gas fireplace with full-height stone surround. Custom soft-close cabinetry with under cabinet lighting accentuates the marble countertops and marble subway tile backsplash. This functional space offers a built-in pantry and a full-size servery with paneled beverage fridge. High-end appliances include a commercial-grade Dacor double oven, a stainless steel Dacor French door refrigerator, and a paneled Miele dishwasher. An oversized central island with pendent lighting overlooks the spacious breakfast area with double French door walkout to a raised composite deck with unobstructed views of the private rear yard. The second level landing, open to the foyer below, leads to your master retreat with bay window, dressing room, and five-piece ensuite with elongated 6’ soaker tub and double vanity with Caesarstone countertop. Two additional bedrooms share a Jack & Jill ensuite, while the fourth bedroom enjoys its own dedicated ensuite. A fifth bedroom is located in the partially finished lower level, which is equipped with multiple above-grade windows and roughed-in plumping for a future bathroom. Outdoors, extensive professional landscaping is serviced by a full irrigation system. Lounge beneath your custom pergola overlooking the award-winning in-ground saltwater pool with waterfall and built-in hot tub. This outdoor oasis is the ideal space for entertaining, with a custom cabana housing a wet bar with a stainless steel beverage fridge, Marvel Keg fridge, and hookup for gas BBQ. Dine or watch a movie al-fresco in the covered outdoor living space with built-in speakers and gas fireplace with full-height stone surround. 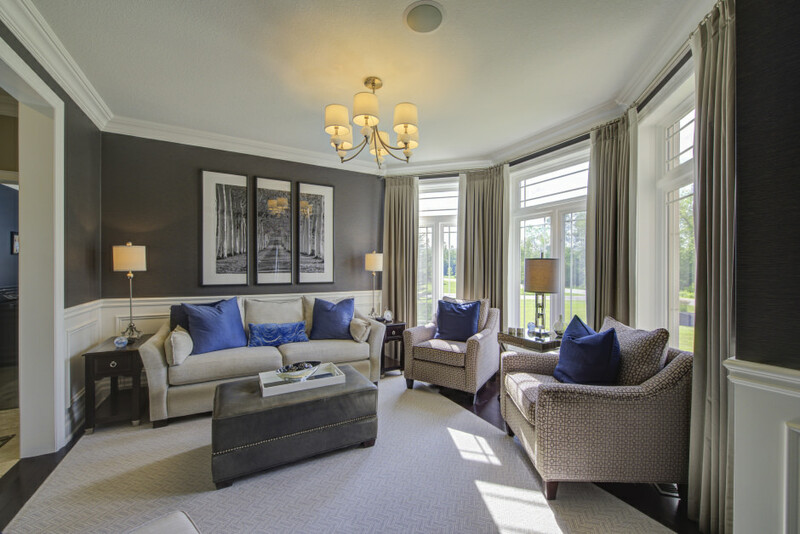 Live in luxurious tranquility within an hour of bustling downtown Toronto!